With more than 15 years of experience in USB, Ethernet and FireWire, we deliver sophisticated solutions meeting the requirements of the mobile and embedded industry. Clean and efficient code is our passion. We follow the Scrum philosophy with Test-Driven development and Continuous Integration. Our strict policy includes isolated multi-platform compile and link checks, unit-tests and static code checking. 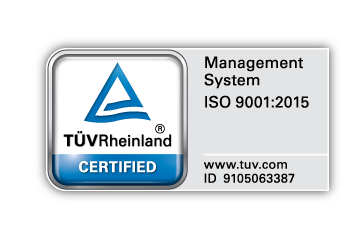 To assure meeting our own high quality standards we have performed ISO 9001 certification for all our development and management workflows. The emsys product range also includes proprietary USB core IP modules for USB, Gigabit Ethernet and FireWire™. Being well-experienced in all areas of USB, emsys is your competent partner for firmware and hardware development, for technical support and for consultation and training. 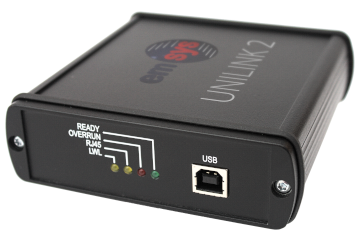 Welcome the newest member of the emsys product family: The upgraded version 2.0 of the very popular USB Unilink Interface. As a longtime member of the USB Implementers Forum, we are proud of our part in pushing USB's success and market share. With our products and services we have established excellent reputation. Emsys stands for quality and clean design, appreciated by major global corporations. Need competence in USB ? Emsys provides consultation services, technical support and training workshops about all technical aspects of USB.  USB Host and Device stack libraries for C and C++. IP cores for USB, Gigabit Ethernet and FireWire™. Project support and USB workshops.